The regional city of Orange is located approximately 260km west of Sydney in the central west region of NSW. In response to a severe water shortage crisis, Orange City Council developed the first application of harvesting urban stormwater for indirect potable use in Australia. 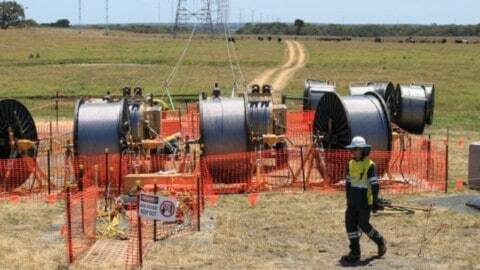 The innovative scheme is able to provide 25 per cent of Orange’s annual unrestricted water demand. Water supply in Orange had previously been provided by two water storages which captured runoff from predominantly rural catchments. While Orange has relatively high annual rainfall compared to surrounding areas, its location at the top of the catchment limited the volume of water that could be captured. In late 2007, the city’s water storages were below 40 per cent and significant resources were directed to reduce water consumption. 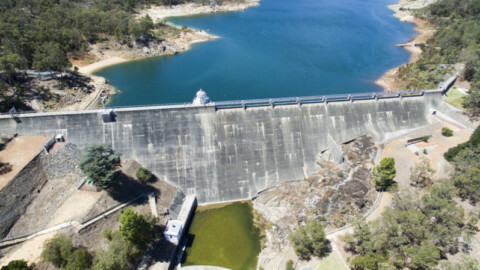 By May 2010, the combined water storage level dropped to its lowest level of 23 per cent. The dry climatic conditions made it critical that alternative water supplies were identified that could provide long-term benefits. 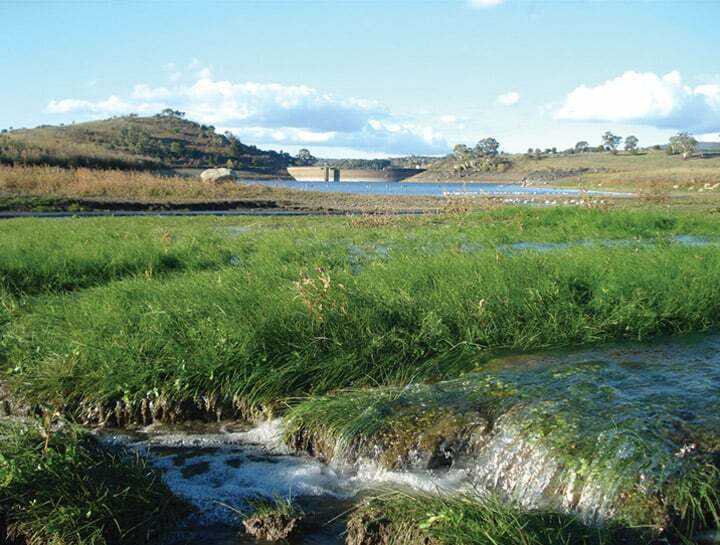 The options explored included using groundwater; recommissioning Council’s original water supply dam; carting water to the city; and harvesting stormwater from both rural and urban catchments. 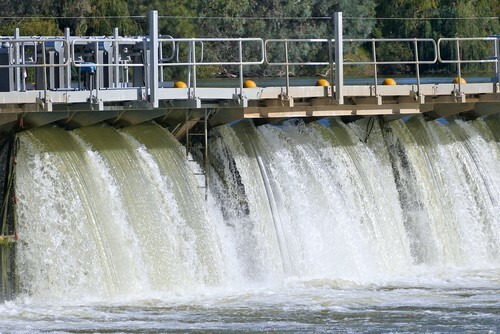 The use of recycled effluent was not an option as the city’s recycled water was already fully allocated to Cadia Valley Operations which is one of Australia’s largest gold mining operations located near Orange. Harvesting stormwater from urban areas for potable water use was something new for Council to consider. This solution had not been delivered anywhere across Australia previously but Council was determined to take this option forward as early investigations were showing it was viable. The urban area of Orange lies within two local creek catchments, Blackmans Swamp Creek and Ploughmans Creek. 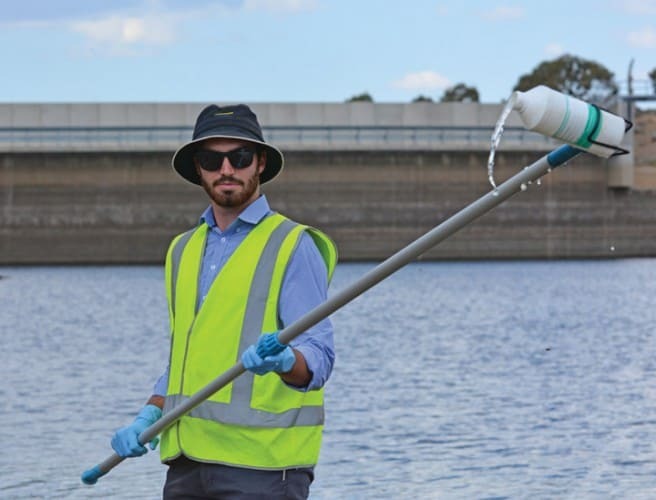 A detailed hydrological model showed that 15 to 30 per cent of the city’s annual water needs could potentially be gained through stormwater harvesting from Blackmans Swamp Creek. Constructed between October 2008 – March 2009, the $5 million Blackmans Swamp Creek stormwater harvesting scheme is made up of several elements. Initially water runs through two large Gross Pollutant Traps (GPTs) that remove a portion of the larger pollutants from the stormwater. These are located on the creek itself and another on a major piped drainage line. A rock and gabion harvesting weir allows low flows to pass through and create a small (3ML) weir pool during runoff events. A pump station located upstream of the harvesting weir has three variable speed pumps in a duty/standby arrangement, each with a capacity of 225L/s. The pumps direct the stormwater to a 230ML holding dam used to balance harvested stormwater flows with the treatment system and provide some detention time. 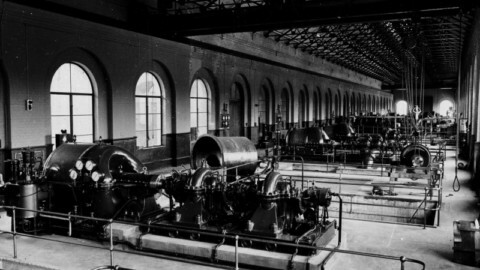 A second pump station extracts water from the holding dam and transfers it to the batch ponds. Before water enters the first of the two in-series batch ponds, a coagulant (aluminium chlorohydrate) is added to promote flocculation and settling of suspended solids and attached contaminants. Water then moves to a second batch pond. 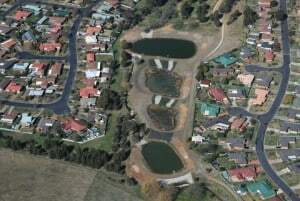 These ponds partially existed as disused sludge ponds and were cleaned out and deepened to be used as part of the stormwater harvesting scheme. Once the necessary water quality standards have been achieved, the water is then pumped into the city’s main water storage at Suma Park Dam. An existing 250mm pipe was utilised as a large section of this pipe connection between the batch ponds and Suma Park Dam was no longer required. Water from the Suma Park Dam is treated as part of the drinking supply at the Icely Road Water Treatment Plant. Following the success of the Blackmans Swamp Creek stormwater harvesting scheme it was expanded to include the Ploughmans Creek stormwater harvesting project. The $4.1 million Ploughmans Creek project is an extension of the Blackmans Swamp Creek scheme. Constructed in 2011, it consists of four constructed stormwater wetland systems that have been retrofitted into existing urban areas at locations which were previously identified in a multi-criteria analysis process. These locations were chosen due to land availability, upstream urban catchment size and reliability of flows. The wetlands were sized to maximise treatment given the size restrictions associated with the available land. Multiple pump stations are then used to transfer flow to existing raw water rising mains. 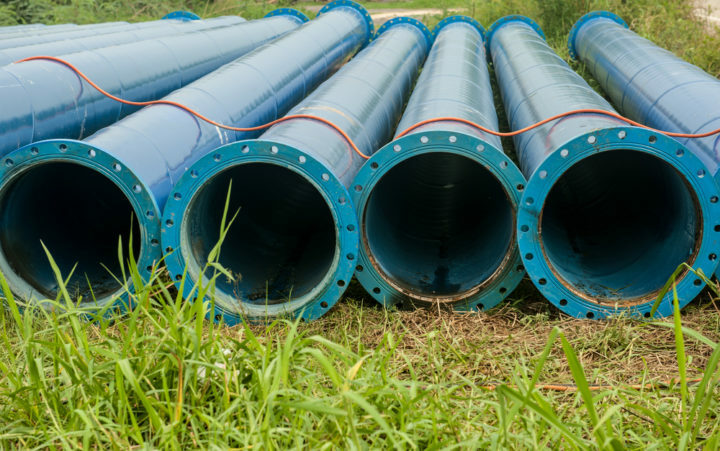 Additional pipeline was required to extend from the existing raw water main to connect to the holding dam which is already used for the Blackmans Swamp Creek stormwater harvesting scheme. “In the Blackmans Swamp Creek catchment we use a semi-permeable weir (with a base-flow pipe) to create a pool from which we pump to a Holding Dam at 450 L/s. 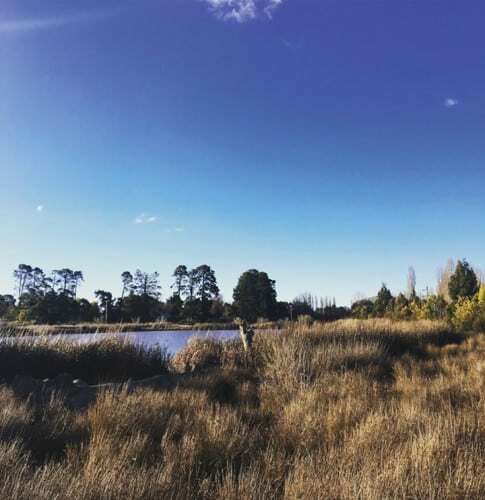 “In the Ploughmans Creek Catchment we use four constructed wetlands to slow the creek flow for transfer via three small pump stations (six pumps) downstream of the wetlands that pump at a range from 20 to 90 L/s,” Water Treatment Manager at Orange City Council, Jon Francis, said. The combined average harvesting potential of both of these projects is 1350ML/year with 850ML provided by Blackmans Swamp Creek and up to 500ML provided by Ploughmans Creek. Permanent approval for the Blackmans Swamp Creek and Ploughmans Creek stormwater harvesting to potable schemes was acquired by April 2015. 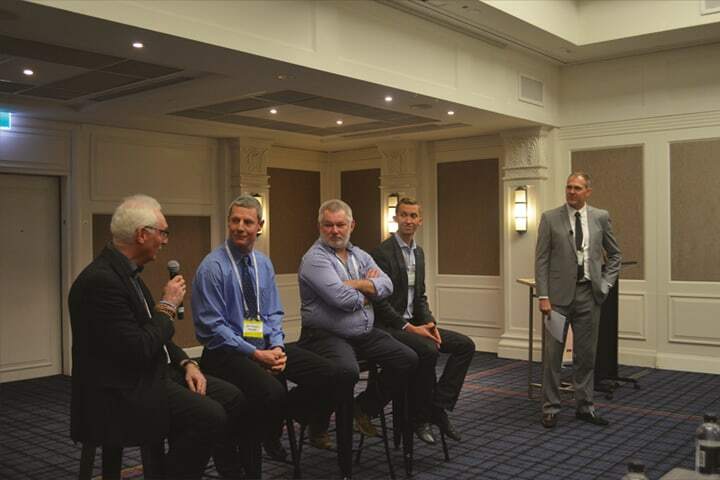 As Orange was the first city in Australia to start harvesting stormwater for potable use, there was a distinct lack of data and guidance available. Therefore Orange City Council had to address key knowledge gaps related to water quality in order to build confidence in regulators and community that the scheme could be successful. The lack of existing guidance and requirements for the harvesting of stormwater for drinking water purposes meant that regulators were cautious to approve the solutions. This was a risk to Council given the critical timing of the stormwater harvesting schemes. Extensive engagement was undertaken with a number of State Government departments to provide input and build confidence in the solution. There were also some downstream stakeholders that had concerns with the solution. This included concern from creek care and environmental groups about impacts on creek ecology associated with changes in flow regimes and water licence holders downstream of the scheme who were concerned that stormwater harvesting would compromise their ability to access their water entitlement. However, broader community acceptance was achieved relatively quickly through a combination of community education campaigns which focused on the requirement for secure water supplies and the details of how the water would be treated to reduce risk to the community. “I remember standing out the front of the pub when we had some rain during the drought and a community member beside me looked at the stormwater running down the drain and said ‘why can’t we capture and use this?’,” Mr Francis said. Due to the critical timing of the project, it was important that the approval and design process occurred in parallel. This meant that the design had to be able to respond quickly to issues and opportunities identified through the approval process. Key to the effective and rapid change was setting a clear vision and removing barriers for key staff and consultants to apply their strengths in achieving necessary outcomes. Strong leadership in a critical time fostered an innovative working environment which empowered staff members. Conservative approaches were taken to set water quality targets and monitoring requirements. This has led to a good set of data which can help to generate targets and guidelines for future projects like this. Mr Francis said there are multiple social and environmental benefits to harvesting and reusing stormwater. “A secure water supply provides a level of service that the community, both residential and commercial, expects. Since the construction of the Blackmans Swamp Creek and Ploughmans Creek stormwater harvesting schemes, Council has also been investigating the best use of its stormwater. Mr Francis said the treated stormwater has a variety of uses. The water quality and flow data collected through the operation of these schemes can help pave the way for this to be done in other locations. “For the future of the scheme we are considering a constructed wetland in the Blackmans Swamp Creek Catchment, and we are continuing with connections of the dual-water system to new residences,” Mr Francis said. It is recognised that a key reason for the stormwater harvesting to potable schemes being delivered in Orange was that there was a water shortage crisis. However, successful demonstrations like what was achieved in Orange, and ongoing research and development of supporting guidelines and policies will help make stormwater to potable standard practice in the future.